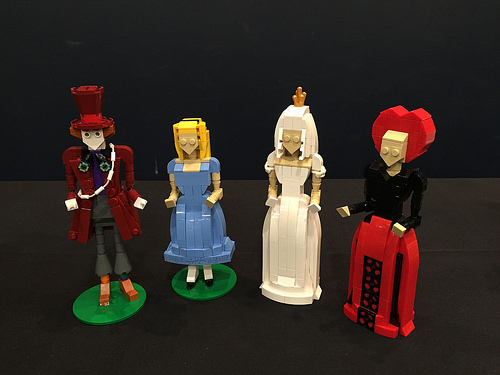 The details of the Mad Hatter’s outfit are simply spot-on, and the shaping on the female figures’ outfits is excellent. I particularly like the turntable bases on the Red Queen’s dress — simple parts use, but creating a realistic impression of an embroidered pattern. I want a White Rabbit and Cheshire Cat at this scale now please. Oh, and a drug-smoking Caterpillar while you’re at it.